The dative case is an oblique case. It is used in the sentences like "Я даю это... учителю, отцу, матери" (I give this to... a teacher, father, mother). You should easily remember this sentence, because the Russian name of the dative comes from the verb "давать", i.e. "to give". The nouns in the dative answer such questions as Кому? Чему? (To whom? For what?). Я даю ручку кому? Я даю ручку учителю. - To whom do I give the pen? I give the pen to a teacher. Катя радуется чему? Катя радуется солнцу. - What is Katya happy at? Katya is happy at the sun. The principal meaning of the dative is "to" or "for". The dative is used to designate an addressee (recipient). For example: написать письмо другу (to write a letter to a friend), дать совет сыну (to give a piece of advice to a son). The dative is also used to show an object towards which an action is directed. For instance, верить другу (to trust a friend), помогать сыну (to help to a son). The dative is formed from the nominative singular nouns with the help of the following endings: -у, -ю, -е, -и (singular); -ам, -ям (plural). 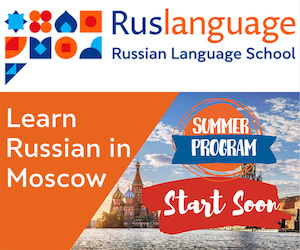 In most cases, you should remove the last letter from the nominative of the noun and add one of the mentioned endings (сестра less -а plus -е = сестре). In some cases, the endings are to be added to the nominative singular noun without taking the last letter off (брат plus -у = брату). The tables below sum up how the dative of nouns is formed. Add -у to masculine nouns ending in a hard consonant (брат) and neuter nouns ending in -o (окно). Add -ю to masculine nouns ending in -й, -ь (чай, учитель) and neuter nouns ending in -е, -ие (море, орудие). Add -и to feminine nouns ending in -я, -ь except some personal names (печь, армия). Add -е to feminine and masculine nouns ending in -a (вода, папа). * The noun "дочь" changes its stem. Add -ам to masculine nouns ending in a consonant, neuter nouns ending in -o and feminine nouns ending in -a. 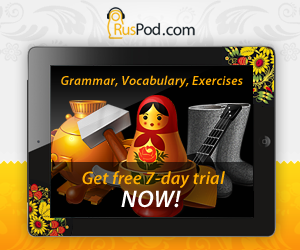 Add -ям to masculine nouns ending in -й, -ь, -я, neuter nouns ending in -e and feminine nouns ending in -я, -ь.